Brought my 2 and a half year old Alaskan malamute/ Japanese Akita cross breed, Shadow in for his first session with Naomi and Robert today and I can honestly say I’m beyond happy, shadow has previously showed aggression towards other dogs and strangers when on walks, however by using Naomi and Roberts training techniques shadow was able to be in close proximity to their dog Rosie and showed no aggression, I was speechless with this result and cannot wait to continue working with Naomi and Robert on improving shadows behaviour, and my own training techniques. Bronson done fantastic today, 3 times the kids let him out and I got him back right away changed the food and had him out a good long walk tonight, he’s like a new dog already, thank you both so so much for your help. Would highly recommend Drumagore to anybody. 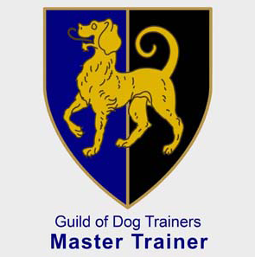 Fantastic trainers that focus on positive training methods. Have come away from our one on one training session with lots of advice and feeling a lot more confident about how to help Zeus rebuild his confidence. I highly recommend dromagore dog training and behaviour. 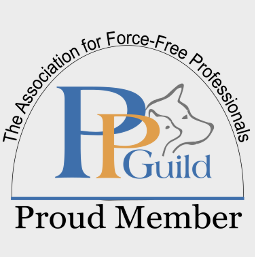 Today my puppy Frank completed the puppy foundation course. 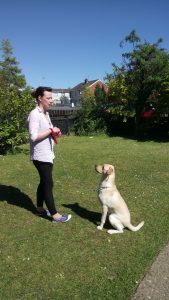 We also attended puppy socialisation previously and since attending these classes frank has become such a friendly and well behaved dog. Great information given, with great results.A big thanks to the trainers Robert and Naomi.